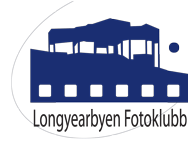 Longyearbyen fotoklubb inviterer til fotoforedrag førstkommende torsdag med John Rodsted som har over 40 års erfaring som fotograf over hele verden. I 1997 fikk han som en del av Den internasjonale kampanjen mot landminer tildelt Nobels fredspris. I foredraget vil han fortelle om erfaringer fra sin karriere bl.a. som reportasjefotograf i krigsområder som Kambodsja, Afghanistan, Kosovo, Bosnia, Libanon og Øst-Timor m.fl. 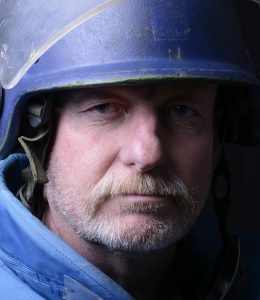 Om arbeidet hans mot landminer, og hvordan fotografering kan føre til 2 nedrustningsavtaler og en fredspris. Hvordan kan man bruke bilder til å skape oppmerksomhet om viktige temaer i samfunnet? John Rodsted kommer fra Australia, hvor han startet sin karriere med eget studio, men etter bare 10 år valgte han å reise ut i verden for å dekke de urolige hjørnene av verden. Hans spesialitet er hvordan vanlige mennesker overlever i krigsområder. Han er den offisielle fotografen for kampanjen for å forby landminer og bildene hans har vært utstilt bl.a. i FN, Smithsonian Institute, Haag og operahuset i Sydney. I tillegg er han professor på Griffith universitetet i Australia, fallskjermhopper, har vært stuntmann og bruker fritiden sin i arktiske og antarktiske strøk som naturguide og fotograf. Han har også gitt ut en fotobok og jobber nå med en ny. Han vil veldig gjerne at vi stiller spørsmål. Longyearbyen photoclub have the pleasure of inviting to a photolecture on this thursday with John Rodsted, that have more than 40 years of experience as a photographer all over the world. In 1997 he recived the Nobels peaceprize together with the International Campain to Ban Landmines. In the lecture he will talk about experiences from his career with among other things documentaryphotography in warsones as Cambodia, Afghanistan, Kosovo, Bosnia, Lebanon and East-Timor with more. About his work against landmines, and how photography can lead to two disarment-treathys and one peaceprize. How can we use photos to create attention around important issues in society? John Rodsted comes from Australia, where he started his career with his own studio, but decided to travel to cover the unstable corners of the world only 10 years later. His specialty is how ordinary people survive in wartorn areas. He is the official photographer for the campain to ban landmines and his photos have been shown in UN, Smithsonian Institute, Hauge and the operahouse in Sidney and more. Additionaly He is a adjunct professor on the Griffith University in Australia, parachutejumper, have been a stuntman and spend his sparetime in the Artich and Antartic as a natureguide and photographer. He has also published a photobook and are now working on a new one. He welcomes us to ask questions. The venue may bee changed if there are many participants on this event. This will be annonced on Facebook. Please give us a feed back on Facebook if you wants to attend.